X-Treme Air Duct Cleaning (618) 225-0238 has been committed to air duct cleaning in Edwardsville, Granite City, Glen Carbon, and Maryville. We are a family ran business! Means that you get great service and a thorough job with air duct and vent cleaning in your home or business. 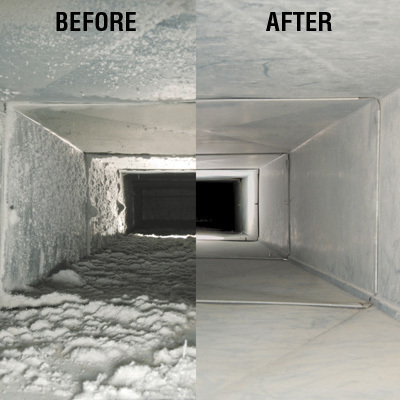 Professional Air duct cleaning ensures that your air ducts are free from all types of dust & debris that can cause allergies. Your heating and air conditioning vents, units and ducts could be a breeding ground for fungus, mold and harmful bacteria. We just don’t clean! We clean to the X-Treme! 1. Does anyone in your household suffer from a respiratory or lung disease that can be agitated by dust or airborne particles? 2. Have you had recent construction in your home involving dust such as dry wall, fiberglass saw dust or other particles that could have been sucked into the duct system? 3. If you have any sort of visible mold growth or any sort of positive testing for mold you should have them cleaned! 4. Any sort of evidence of animal activity. 5. Any sort of blockage in your air ducts due to debris! The air in your home or commercial dwelling could be making you sick. Heating and air conditioning systems recycle contaminated air inside your home and building, causing dust, pollen, fungus, mold, and bacteria to build up inside your air ducts Causing recirculation! X-Treme Air Duct Cleaning is available for residential & commercial.